While you can visit Studio Ghibli, it's not a theme park. It's a museum (hence, the reason it's called the Ghibli Museum). But what we really want is a proper Ghibli amusement park. Like this. 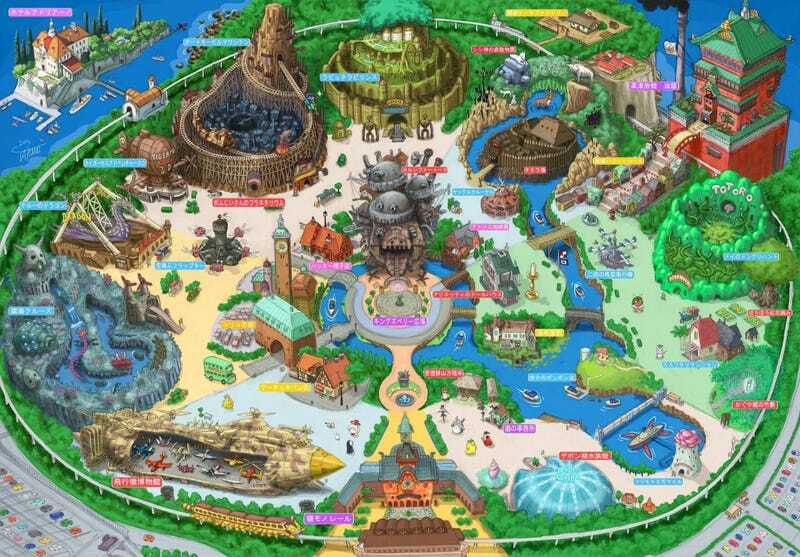 As noted on 2ch, Twitter user Takumi created a map for what he calls "Tokyo Ghibliland." Sure, it's heavily modelled on Tokyo Disneyland, but that's okay. The Cat Bus monorail makes that completely forgivable. For those hoping to experience more than Ghibli Museum, you can visit a recreation of the Totoro house in Aichi Prefecture. You might be able to see one of Japan's real-life cat buses.